Tue, May 7, 6:00pm – 8:30pm Tea Party with Mom Cooking Class! Tue, May 14, 6:00pm – 8:30pm Great Italian Appetizers! Tue, May 28, 1:00pm – 3:30pm Cooking with Herbs and Flowers! Tue, June 4, 6:00pm – 8:30pm Working with Meringue Cooking Class. Thu, June 6, 6:00pm – 8:30pm Hands on Baked Donuts! Tue, June 11, 6:00pm – 8:30pm Geode Cake Cooking Class! Tue, June 25, 6:00pm – 8:30pm Gluten Free and Alternatives Cooking class. Join our email list, save money, don't miss new classes! 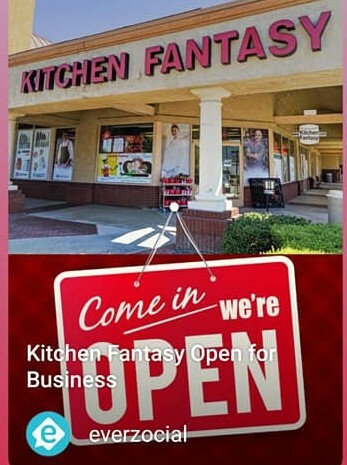 Sign up for Kitchen Fantasy email and never miss a class or discounts! We send your schedule about every ten days, never miss a class! 3. Yes you get to enjoy what is made so come hungry! Classes are non-refundable/transferable unless 48 hours prior notice is given. Temecula Cooking school offering the very best selection and price on Cooking Classes in Temecula Murrieta and Menifee! Buy 4 or more classes any way you like and get 10% off!